Situated at the foothills of the Rocky Mountains, Town of Banff provides a year-around playground for tourists and local visitors alike (Banff Web Site). In Winter, it features world-class downhill and cross-country skiing, hiking, ice climbing, snowmobiling, and snowshoeing adventures. In summer, world-class golf courses in the mountain settings, horse riding, river rafting, climbing, biking, hiking, berry picking and airplane tours await the visitor. 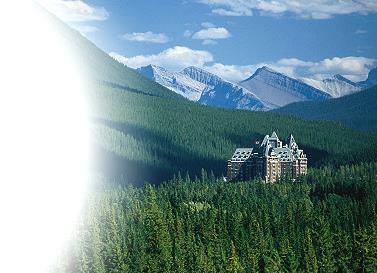 Hot Springs Mineral Pools, Mountain "Top of the World" Gondola, Bow River Falls, magnificent Banff Springs Hotel, and a world-renowen Kirsten Florian spa facilities complement the unforgettable experience. First-class dining includes continental, traditional North American (steak and bison), Fondue (traditional Swiss cousine), French, Japanese, Greek, Chinese, Italian, Coffee Shops and other restaurants for all tastes. For those looking for a history tour, live theater performance, museum or an art gallery, there are numerous options available. ICCSA'15 Conference location is adjacent to Banff Performance Center where numerous musical, theatrical and life performance events take place throughout the year, as well as in a close proximity to Banff White Museum, History Museum, Cave and Basic Interpretive Center, and Wild Flower gardens to name a few important landmarks. Finally, Banff is populated with upscale souvenir, rock and gems, jewelry, art and other shops, located in the major Hotels as well as along the Banff Avenue. No matter what your age or taste, Banff has something to offer to everyone. It is a place where Chinook brings warms and sunshine even in the coldest months of winter. 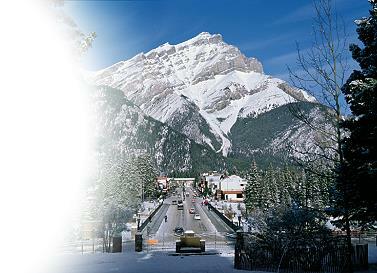 Banff is one of the Canadian cities when sun can be enjoyed almost every day. Summers are mild and sunny, while winter is dry and snowy. Summer temperatures are in the range from 20 to 35 degrees Celsius and in winter it can get as cold as minus 20 degrees, while majority of the days enjoy around 0 temperatures. However, due to Chinook winds - a unique weather phenomenon influenced by proximity of the Mountains and city location, temperatures can rise from minus 10 to plus 18 in one day! Showers and hail are usually sudden and heavy, but also brief and refreshing. Alberta people are rightfully known as some of the most friendly and warmhearted people in the world. Immigrants from many European countries, as well as from other parts of the world, cowboy and native people make a majority of the population. Banff and Calgary are cities with a strong Western Country flavor, and is a home to the Greatest Outdoor Show on Earth - Stampede. There are a lot of things to see and do around Banff, Canmore and Calgary all year long: hiking and fishing in Fall, skiing, snowboarding on some of the Worlds best cross-country and downhill terrains in Winter, bird watching and canoeing in Spring and sky jumping, swimming, and biking in Summer. 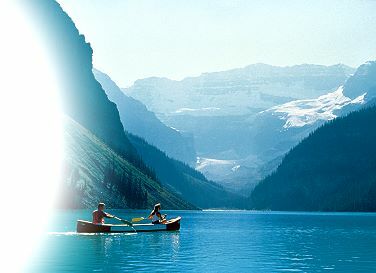 For the whole range of activities, visit Town of Banff Site, Town of Canmore and Calgary Parks and Recreation web site.